When you stay at The Sebel Pelican Waters Golf Resort & Spa in Pelican Waters, you'll be next to a golf course, within a 15-minute drive of Bulcock Beach and Kings Beach. 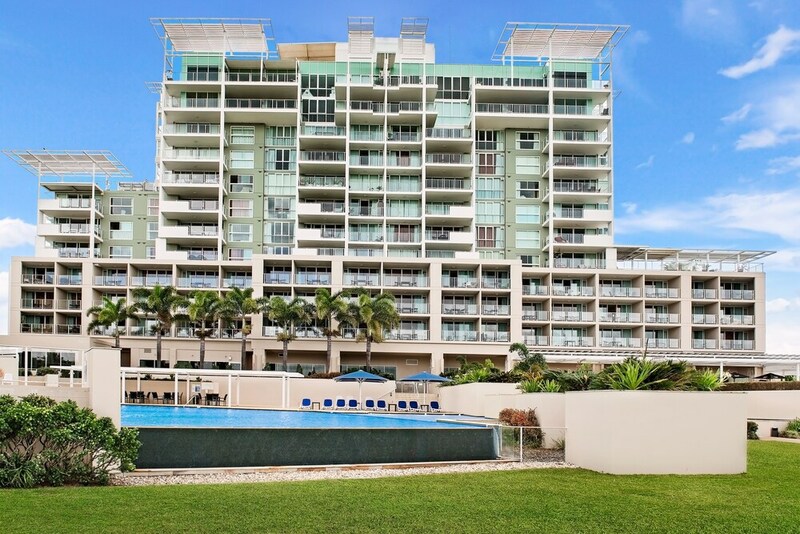 This 4.5-star hotel is 10.6 mi (17 km) from Kawana Beach and 5.9 mi (9.4 km) from Shelly Beach. Make yourself at home in one of the 114 air-conditioned guestrooms. Rooms have private furnished balconies. Complimentary wireless Internet access keeps you connected, and satellite programming is available for your entertainment. Bathrooms have complimentary toiletries and hair dryers. Relax at the full-service spa, where you can enjoy massages, body treatments, and facials. You're sure to appreciate the recreational amenities, which include 2 outdoor swimming pools and an outdoor tennis court. This hotel also features complimentary wireless Internet access, a hair salon, and tour/ticket assistance. Grab a bite to eat at Cienna Restaurant, a restaurant which features a bar, or stay in and take advantage of the room service (during limited hours). Full breakfasts are served on weekdays from 7:00 AM to 8:30 AM for a fee. Featured amenities include dry cleaning/laundry services, luggage storage, and laundry facilities. This hotel has 7 meeting rooms available for events. Free self parking is available onsite. The Sebel Pelican Waters Golf Resort & Spa features 2 outdoor swimming pools and an outdoor tennis court. The hotel offers a restaurant. A bar/lounge is on site where guests can unwind with a drink. Wireless Internet access is complimentary. 7 meeting rooms are available. This luxury hotel also offers tour/ticket assistance, barbecue grills, and a garden. Limited complimentary onsite parking is available on a first-come, first-served basis. Full breakfasts are available for a surcharge between 7:00 AM and 8:30 AM on weekdays. Cienna Restaurant - This restaurant serves breakfast and dinner. Guests can enjoy drinks at the bar. A children's menu is available. Open select days. 2 outdoor swimming pools are on site along with an outdoor tennis court. The onsite spa has 3 treatment rooms including rooms for couples. Services include facials, body wraps, body scrubs, and body treatments. A variety of treatment therapies are provided, including aromatherapy. The spa is equipped with a spa tub. Reservations are required for golf tee times, massage services, and spa treatments. Reservations can be made by contacting the hotel prior to arrival, using the contact information on the booking confirmation. The property has connecting/adjoining rooms, which are subject to availability and can be requested by contacting the property using the number on the booking confirmation. Parking height restrictions apply.